When celebrities leave the planet, I don’t usually mourn too dramatically, especially when the gifts of their talents are as thoroughly immortalized on YouTube as David Bowie’s are. But his departure in the wee hours this morning sets me to sobbing. A lost time in my life comes floating back to me, like when you suddenly notice there is background music playing. I used to commute between my hometown of Boulder, Colorado and my college town in Santa Fe, New Mexico. I-25 divides the rectangle of Colorado in half, running North-South with the Rockies to the West and the Plains to the East. The eight-hour drive in my VW Bug gave me time to think long thoughts as sunset came and went and the cassettes in my tape deck auto-reversed through Talking Heads, Simon and Garfunkel, and Kate Bush albums. In those days there was half an hour of darkness along the final stretch between Denver and Boulder, and one night around midnight, I crested the final hill and saw the welcoming lights below just as David Bowie’s Starman lit into the plaintive chorus. Let the children use it. Let the children boogie. The sky was deep and clear that night and the stars — no longer a palpable presence in my current urban life — sparkled like every song on the David Bowie mixtape my new guy had given me for the trip. My heart soared among them because I wasn’t alone in the universe anymore. I had a cosmic connection. I was in love. My first novel will probably never be published. I’ve changed the names of characters and places (plus almost all of the facts), but it still feels too personal. There is a scene in it that preserves a moment I want to remember forever. It’s set at a bonfire in the placita, where seniors were ceremonially burning drafts of their final essay. The piñon smoke mingled with a skunky whiff of marijuana, and the pinch of chamisa blooms floated on the warm spring air. He watched her approach from opposite the bonfire, the leaping flames bathing him in a flickering orange light. A black leather jacket studded with silver safety pins opened to show his muscled torso, and beneath his jeans, his feet on the warm flagstone were also bare. A streak of silver Ziggy Stardust face paint danced across his chiseled cheekbone and intersected his black-painted lips. Near his ear, Jayne noticed two matching moles where his sideburn ended. A hank of blonde hair hung over one amber eye, but the other one met and held hers as she approached. Mari introduced them properly, but all Jayne could hear was the music from the party, or maybe from inside her. The style of New Wave, the attitude of Punk, the earthiness of the coming wave of Grunge came alive in this perfect being, in this perfect moment. She felt a pang in her gut of gnosis, of physical knowing, of one helpless fact: I am going to have to kiss him. By the time the she was sweating to Suffragette City, Jayne had talked herself out of the pang, and into believing she could master her feelings. Studying philosophy had shown her the mind is the seat of the soul, and we can choose what to believe. But on her way out the door, it rang again when she found Jack looking at the stars. The stars she’d puzzled over in Astronomy class. The stars that had called humans of all generations to think long thoughts, to wonder what else or what more there is. Somewhere up there was the one she’d wished on for her fifteenth birthday, not so very long ago. And when his golden gaze met hers again, she knew her dream had been delivered. Everyone wanted to go to bed with Bowie. And when the radio was on, everyone in my generation did. That’s rock and roll. When my Bowie-like blonde and I rocked and rolled, our bodies—which fit together so perfectly—would dissolve into light and dance through the Milky Way, forever and ever. As toe-curling as those first moments at the bonfire promised, our connection was compromised, as young love often is, by life’s alternate plans. Our Wild-is-the-Wind romance was always shadowed by the inevitability of our separation, like the darkness outside the ring of firelight that would return when the words had burned away. In the swirl of early adolescence, one can’t know yet who one will become. We were well-matched but not ready to settle down, or even date. Our relationship lasted almost five years, but more of them were apart than together. Between our desire and the longing, the pain was constant. Then there was the recession, and family illness, and oh yeah, that baby we couldn’t have. There was always a will, but there was never a way to close the dark space of a country between us. Eventually we had to stop trying. Starman was, literally, my boyfriend’s middle name. At the Boulder overlook that night his beautiful idea, that we would both take it as a surname when we reached adulthood someday, was playing as the subtext on the mixtape. I couldn’t know then that we would lose each other at it’s threshold. But I knew he blew my mind. My sniffling wakes up my husband, who mourns with me. He had been down in Boulder that night my heart was in the stars, and years later helped me heal my broken heart. 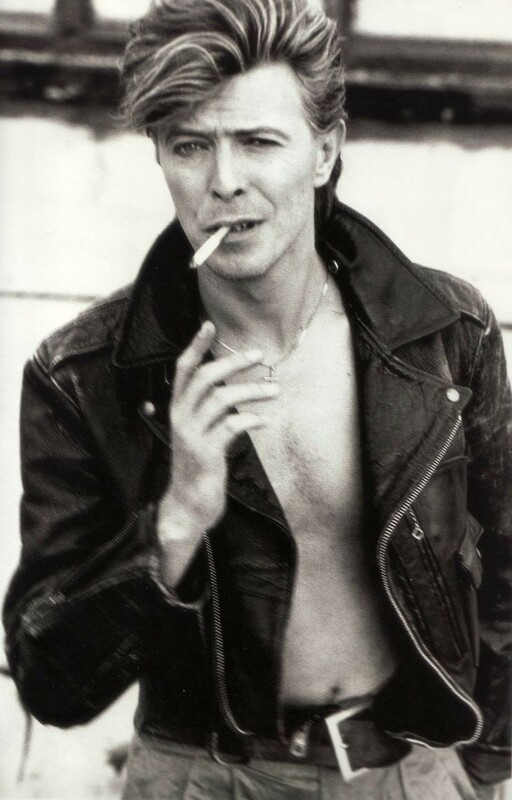 His Bowie theme song is Heroes; and we live it, one day at a time. His arms remind me that our relationship with artists doesn’t end when they do. Creative upshifter, literary instigator, people weaver. Also likes shoes. www.kristencaven.com & @krs10bc.